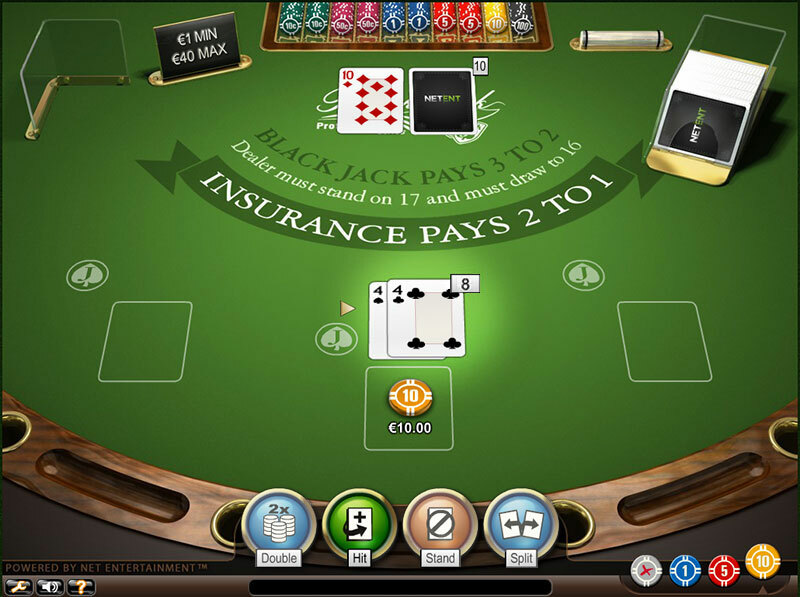 As Blackjack is a game of skills, it allows players who have the needed knowledge and strategy to gain advantage over the casino and win in the long run. There are a lot of factors that play crucial role during the course of the game and in order to become winners, they need to focus on every single aspect. One compulsory thing for players who strive to improve their game constantly, not just play recklessly, is to be familiar with the possible options each hand gives them. Following a reliable strategy and having money management skills are also some of the requirements if they want to succeed in winning. Players who have thought every situation through are able to make better choices and moves and it shows in their way of playing. One of the important choices they need to make at some point during the game is when to split. Despite the fact that many gamblers, even experienced ones, adhere to the saying that they should split whenever their first two cards are of the same rank, this is often not the case. There are some occasions where is best to refrain from such a move and proceed in another way instead. In this chapter, we will consider such situations when players have a pair of 4’s in their hand. As already mentioned, it’s really important to know when to split a particular pair as it can make a huge difference in the long run. Every move gives players new options and possibilities and if they want to get the best ones, the only way is to make the appropriate choices. In this sense, the right time to split their pair of 4’s is whenever the dealer’s up card is five or six. The odds are that eight out of thirteen cards will be beneficial for them. There are six cards in the deck that will place them in a standing position whilst the dealer’s in a disadvantageous one and two more other cards that will leave them with a total of eleven or ten. The reason why players should split 4’s in these cases is that this move can result in a situation suitable for doubling down. This allows them to increase their money bet and make the most of these situations. Player is dealt a pair of 4’s. Dealer’s Up card is a 5. Player should Split. Splitting is acceptable in one more case – when the dealer’s up card is four. However, when it comes to exactly this particular situation, players can also decide to split. The opinion of many professional gamblers is that either way they won’t go wrong. Splitting or hitting four against a four as the dealer’s up card is a rather controversial matter and so far both moves are practised by players all over the world. Sometimes there is no good or bad move, just different possibilities and outcomes that it will result in. In this case, both moves are appropriate and it is up to the player’s preferences to decide how to proceed. As already mentioned in the above example, there are cases when players’ best choice is not to split their pair of 4’s. Instead, they should choose to hit in order to avoid putting themselves in a breaking position. This move should be made whenever the dealer’s up card is two, three or from seven through ace. When hitting, players can get an ace which leaves them with a total of nineteen in their hand or if they draw two or three, this gives them the opportunity to double down. Even though whenever the dealer’s up card is three the best decision would be to hit, splitting is also not entirely inappropriate as it gives players the chance to get from four through seven or an ace on both split hands which is a great opportunity to double down. The motive behind this move is that when when the dealer’s up card is three the chances that he will not reach twenty one in a few turns are high enough to give them time to do so. However, they need to bear in mind that when splitting there is also a chance that they will end up with breaking hands. The choice is entirely theirs to decide how it is best to proceed. Players can also decide to hit in cases when the dealer’s up card is four as previously indicated. Player is dealt a pair of 4’s. Dealer’s Up card is a 10. Player should Hit. Splitting 4’s is a situation which should definitely draw the players’ attention as this move offers the possibility to double down afterwards and thus, they will be able to increase their money bet. However, they need to take into account the fact that some casinos don’t allow doubling down after splitting or have certain restrictions regarding that matter. Therefore, they need to get familiar in advance with the them and even the rules on each table as sometimes they differ from one another. It is really important for players to take their time and consider these requirements beforehand as sometimes their strategy can be based on such moves and if they are not allowed that changes the whole picture. Another important thing to take into account is that in the situations where they have a pair of 4’s against a four as the dealer’s up card is acceptable to either hit or split as both moves allow players to get more money. Having the necessary knowledge when it comes to playing Blackjack is crucial if players want to win in the long run. It is extremely important for them to know the rules thoroughly and understand the strategy they use. If they are familiar with the most common hands and know when and why they should split, this increases their chances of winning significantly. All that knowledge can be applied correctly and result in the desired result, only if players have discipline and money management skills. Splitting a pair of 4’s is one of the moves which offers them a lot of opportunities to increase their bet afterwards. Such occasion should be valued if players want to make the most of every game and leave the casino as winners.